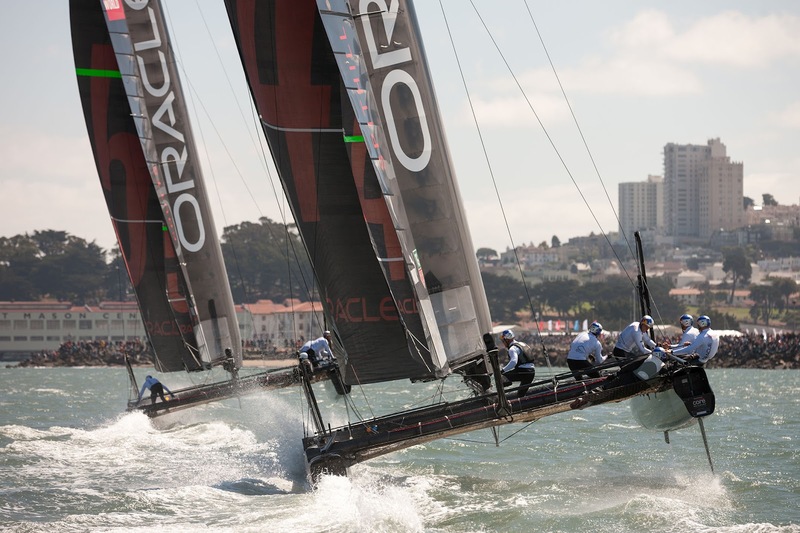 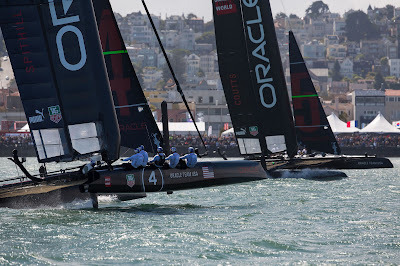 ORACLE TEAM USA today captured the two championships of AC World Series San Francisco, thrilling the capacity crowds who had front row seats to close-quarter, fast-paced racing on San Francisco Bay. 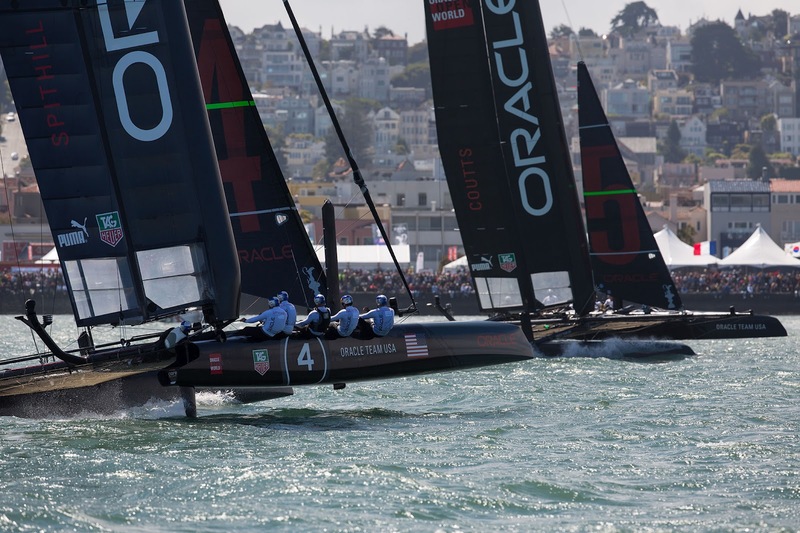 The day began with Russell Coutts, the four-time America’s Cup winner, taking out teammate Jimmy Spithill in the Match Racing Championship. 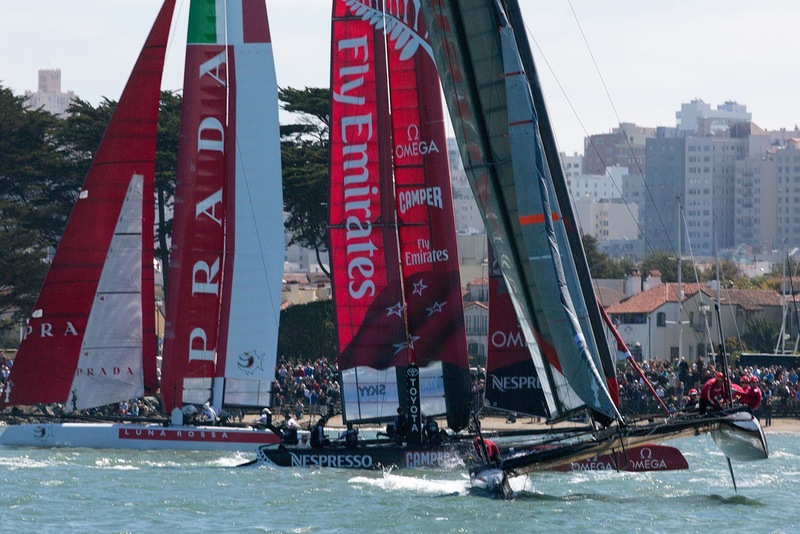 In a race that saw the lead change hands three times, Coutts eked out a 1 second victory with both boats screaming across the finish line overlapped at 20-plus knots. 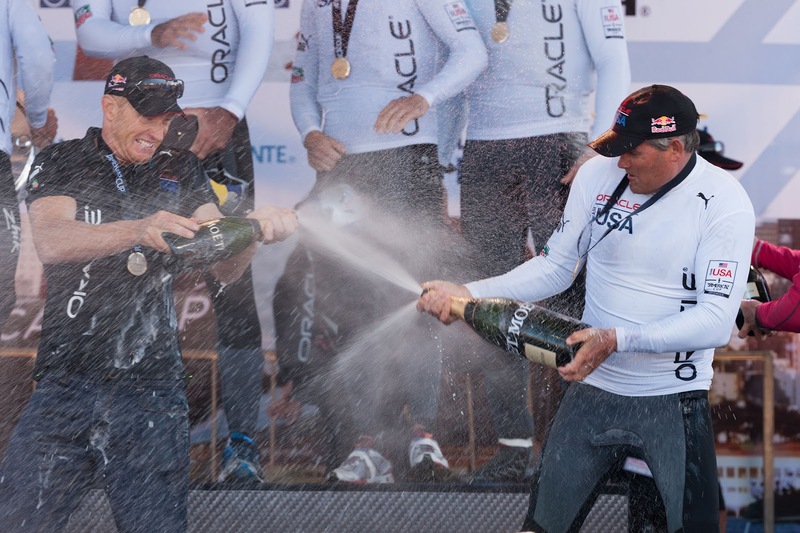 Then, about 40 minutes later, Spithill found himself in another charge to the finish line. This time he needed to overcome Team Korea (Nathan Outteridge) to capture the Fleet Racing and Event Championship. Spithill rounded the last mark slightly overlapped on Outteridge’s stern and then got a penalty on his rival skipper. 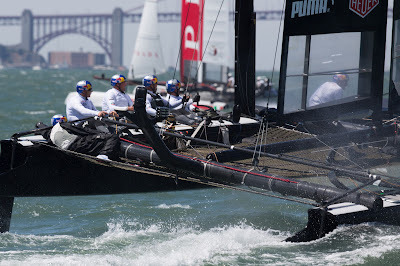 Outteridge was forced to slow down by the umpires, and Spithill sailed through to leeward and into second place for the race and a 1-point victory in the overall event standings. For Coutts, the match racing title was his second consecutive, coming on the heels of a victory in Newport at the beginning of July, which wrapped the 2011-12 racing season. 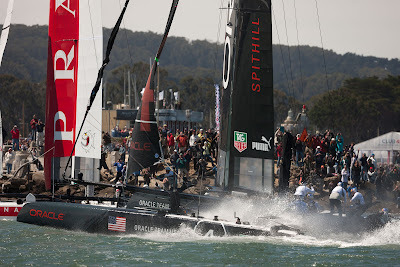 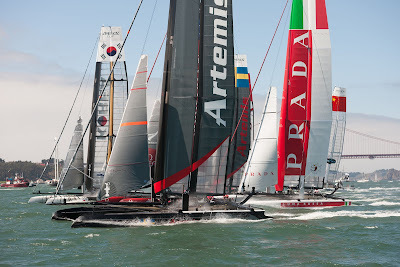 He has developed a fine touch for starting the AC45, which he displayed again today. 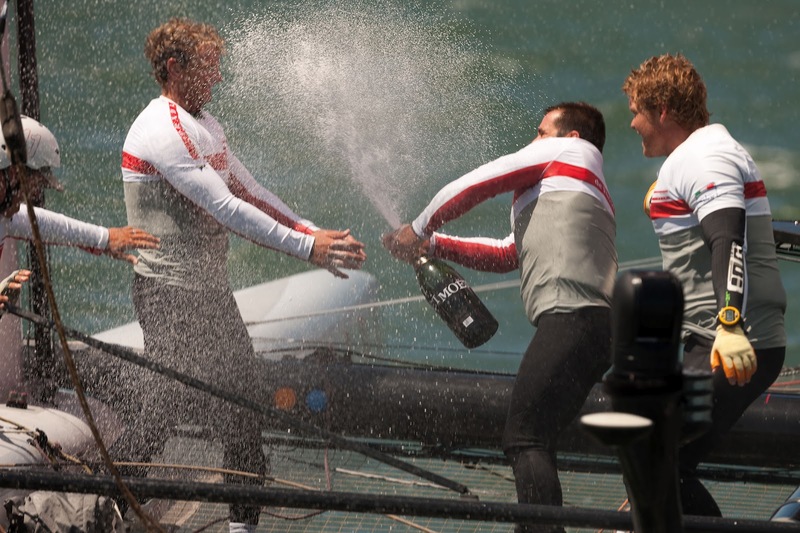 Luna Rossa Piranha (Chris Draper) won the fleet race finale by three seconds over Spithill, who had sailed through Outteridge into second place. 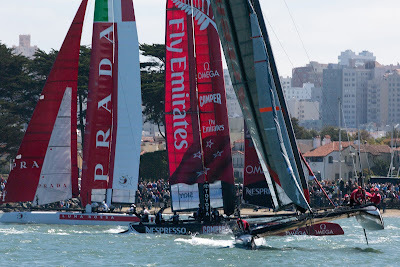 As has become his custom, Draper was solid off the start line and steady around the racecourse. 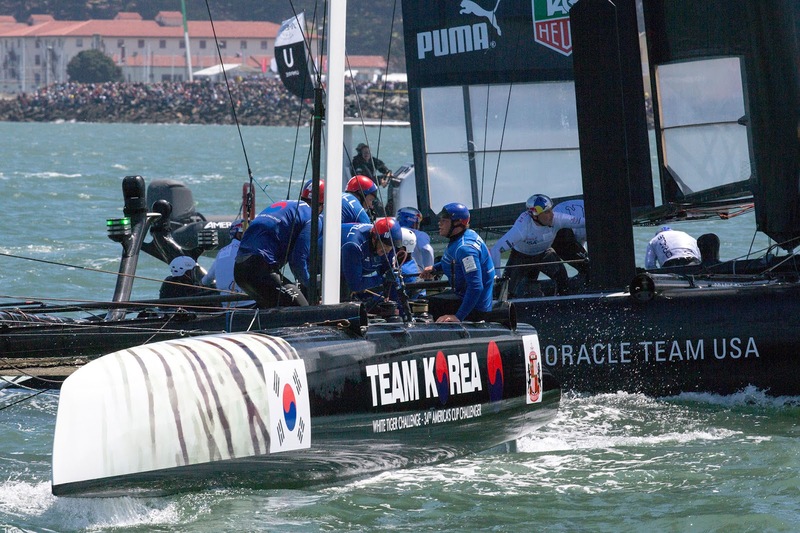 At one point the crew led by 200 meters approaching the second leeward gate, but they almost gave it all away when they nearly capsized on the finish line. 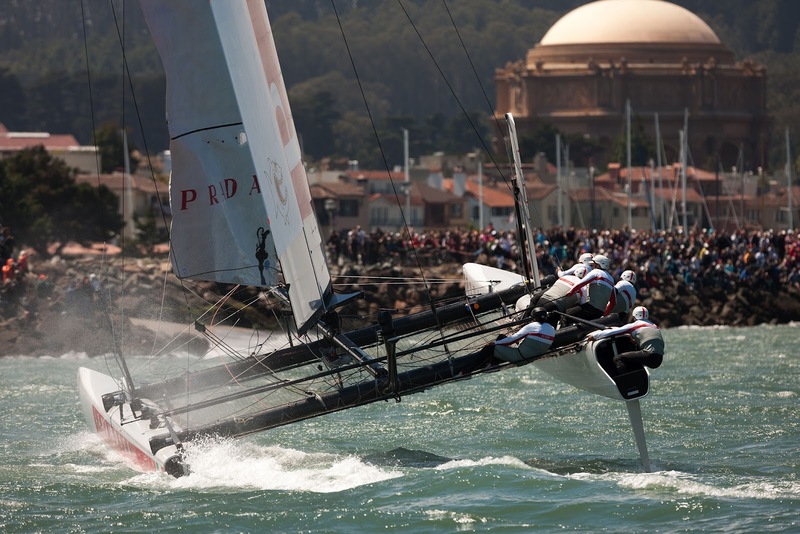 But the wingsail got eased just in time to avert disaster, and the finish gun fired a split-second after the windward hull slammed down into the water as the boat stabilized. 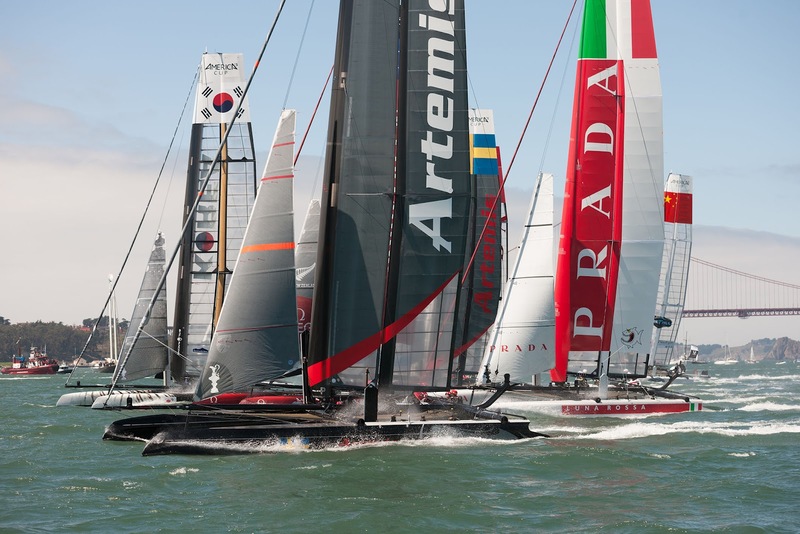 The next ACWS regatta in San Francisco is scheduled during Fleet Week, Oct. 2-7, when the ACWS fleet will share the Bay alongside the naval ships of the Pacific Fleet in one of the largest annual events held in San Francisco.